18 FT X 22 FT. - This warm and pretty room has a private deck that looks out to the flower and rock garden and fruit trees. 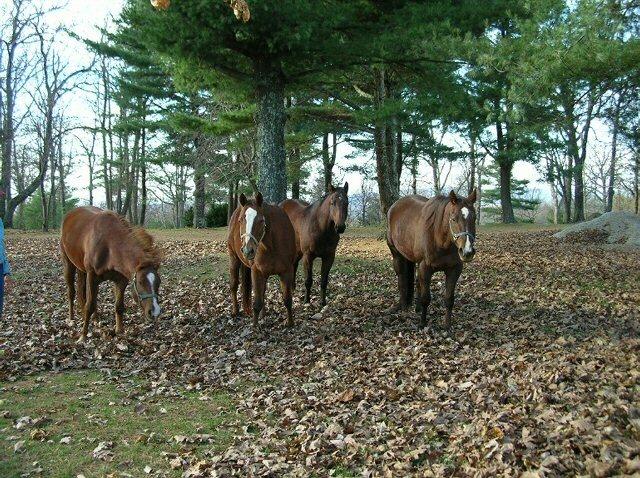 You may also get a look at the beautiful quarterhorses grazing in the pastures beyond. This suite provides two queen-sized beds, dressing area and bathroom with Jacuzzi tub designed with your comfort in mind. THIS SUITE IS HANDICAPPED ACCESSIBLE. Rates: $135.00 Plus Tax 2 people, $25.00 each additional person. 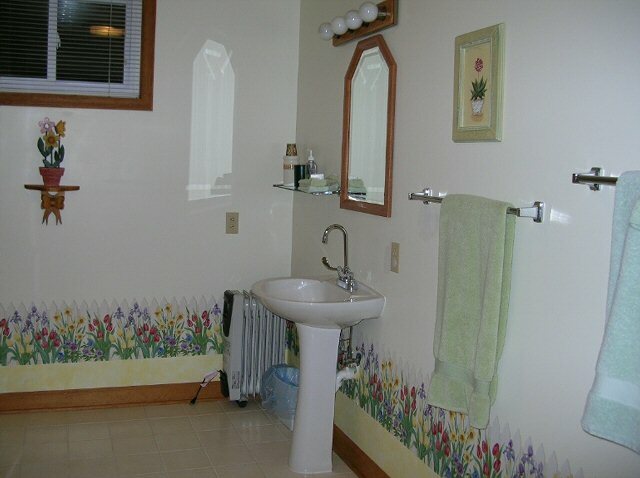 SPRINGTIME LULLABYE BATH WHICH IS ALSO HANDICAPPED ACCESSIBLE. 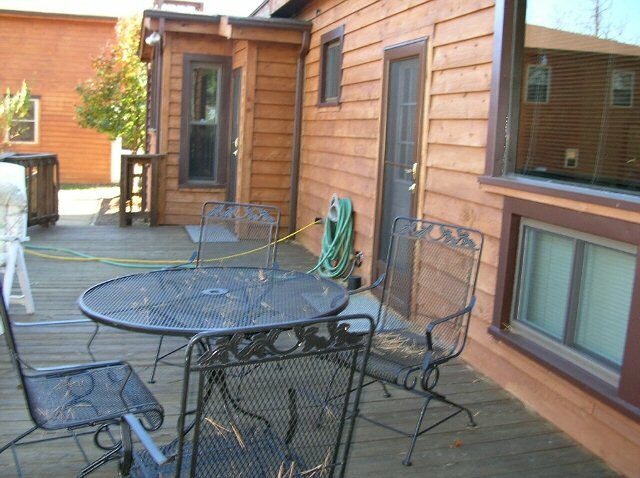 LARGE DECK OUTSIDE SPRINGTIME LULLABYE AND MOUNTAIN HOLIDAY SUITES.